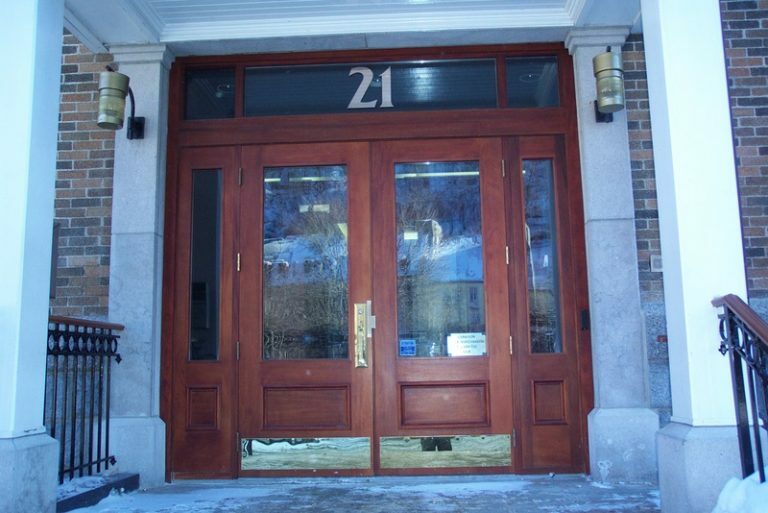 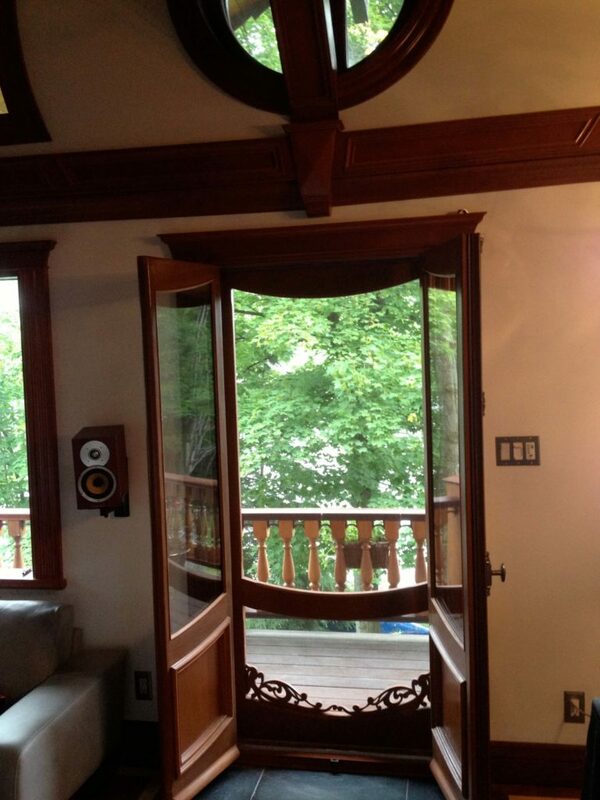 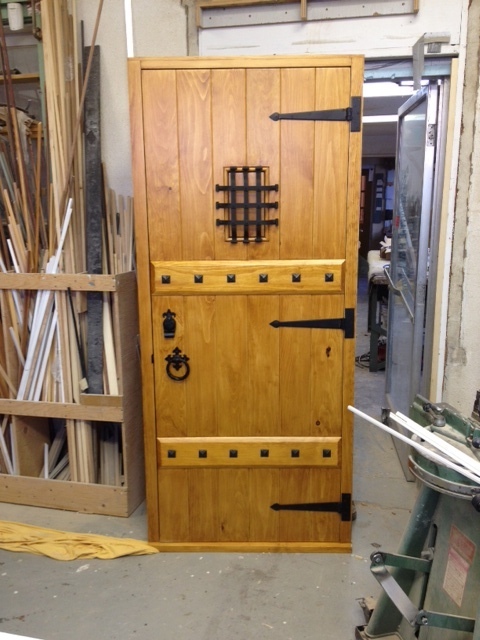 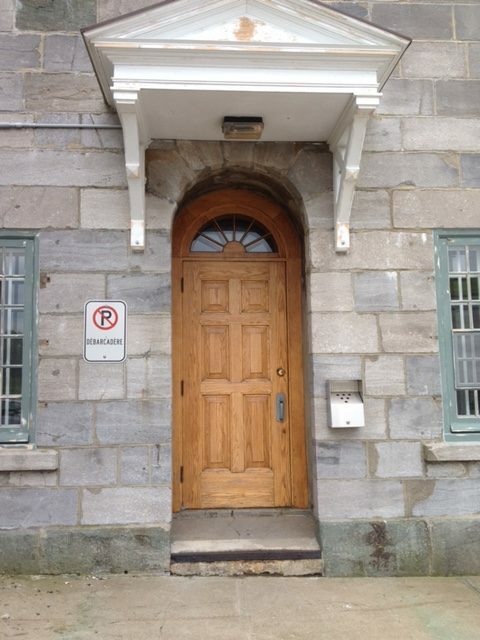 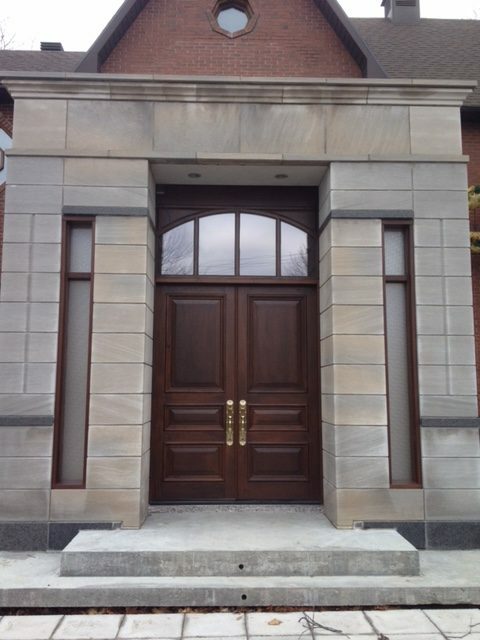 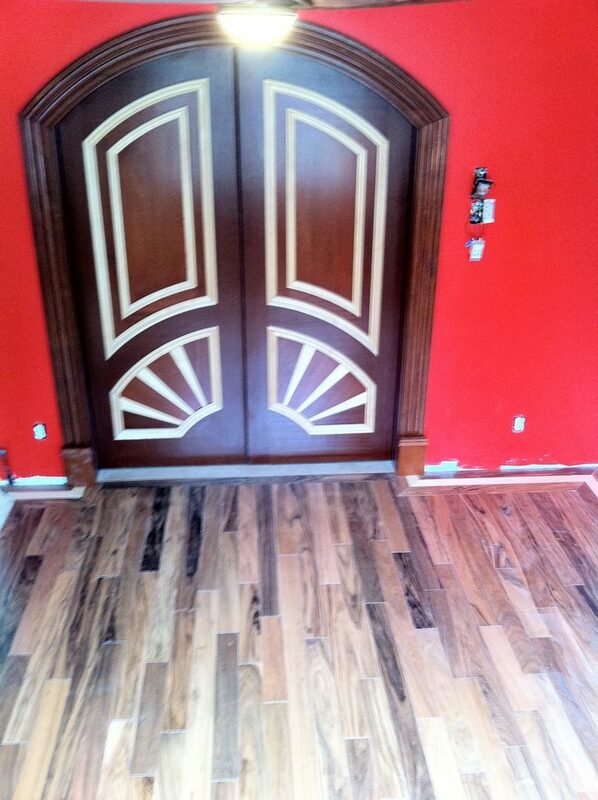 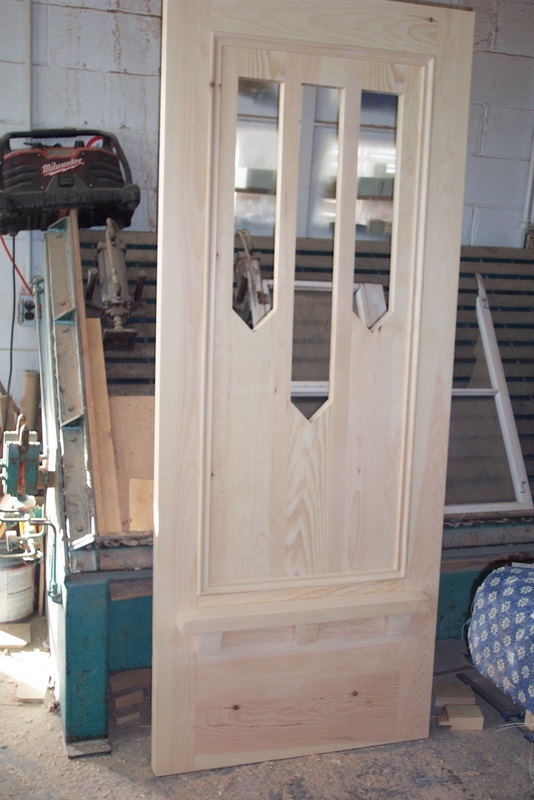 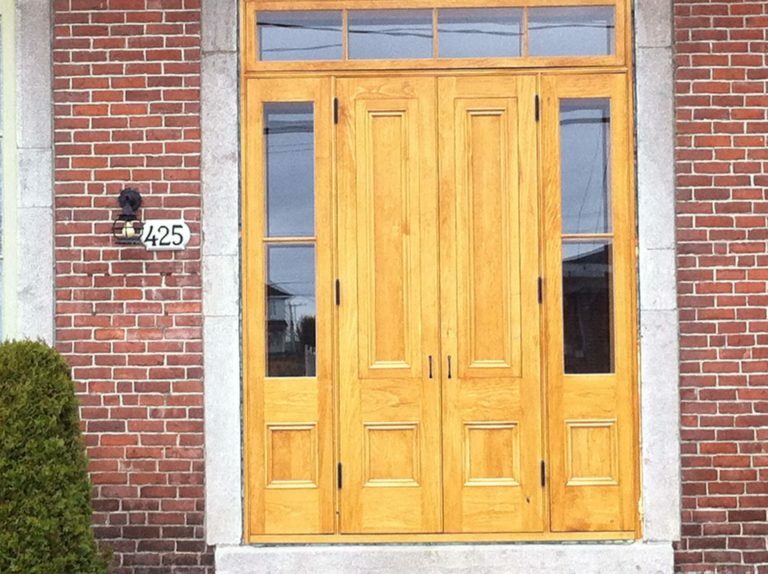 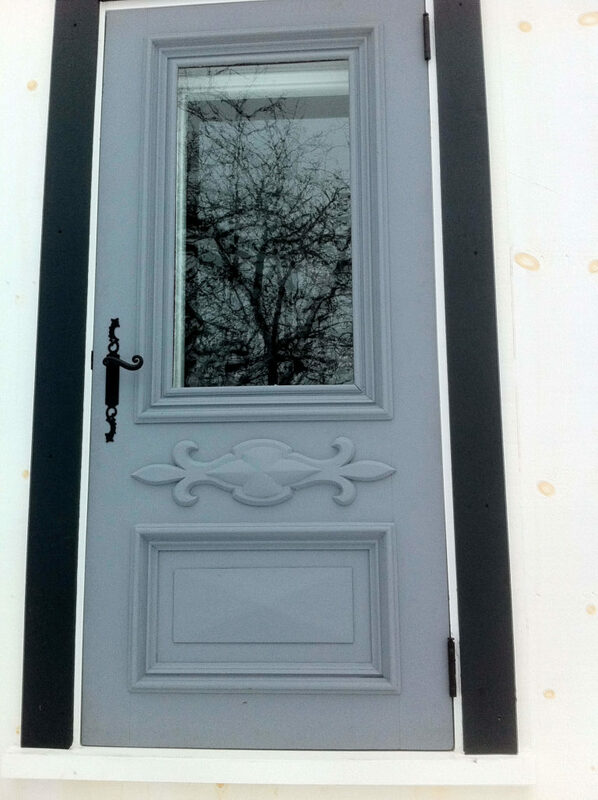 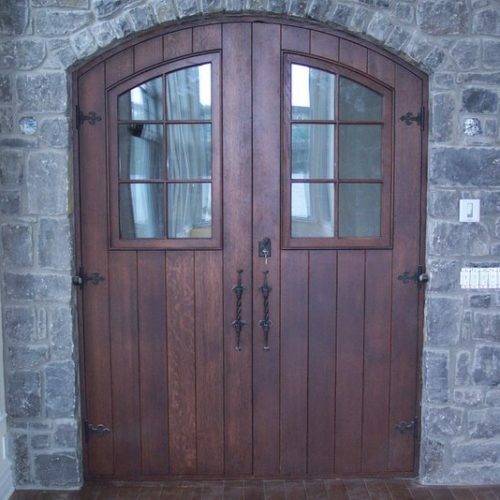 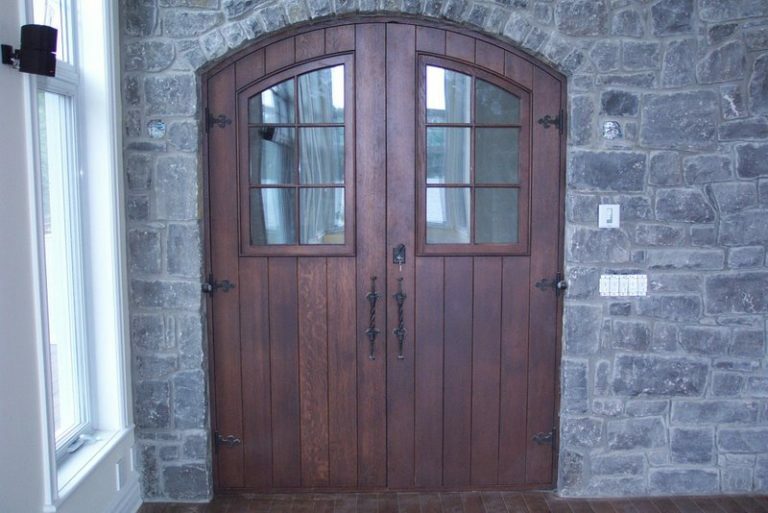 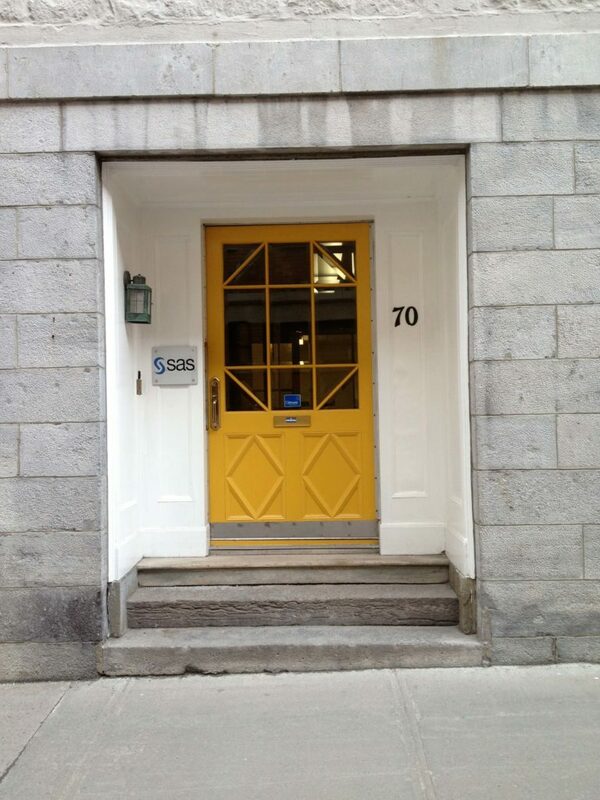 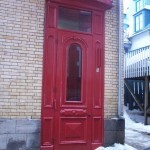 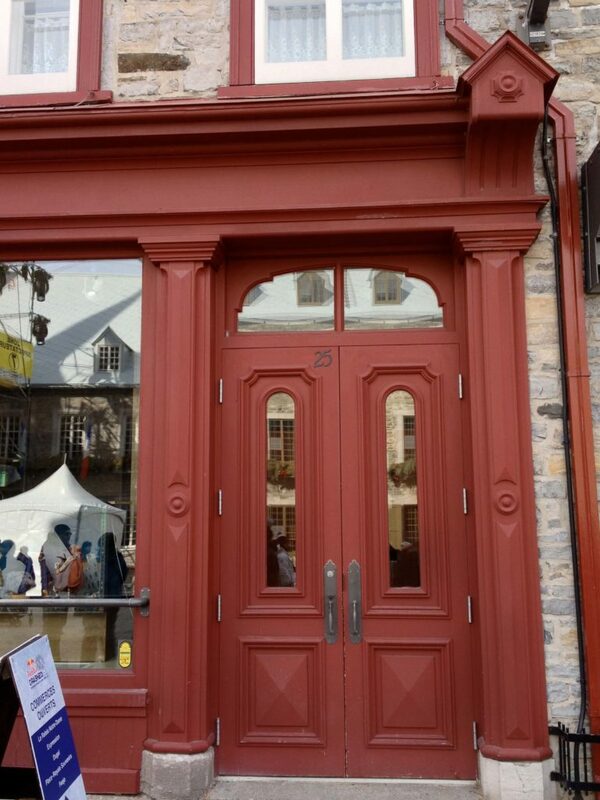 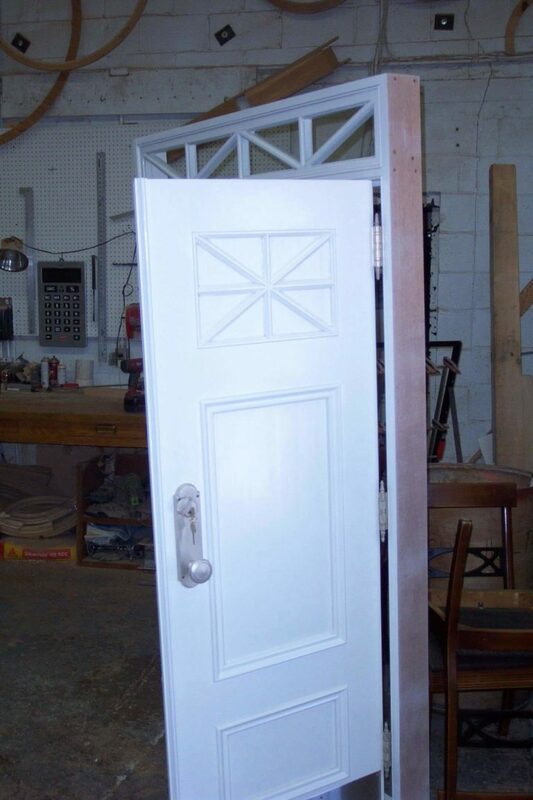 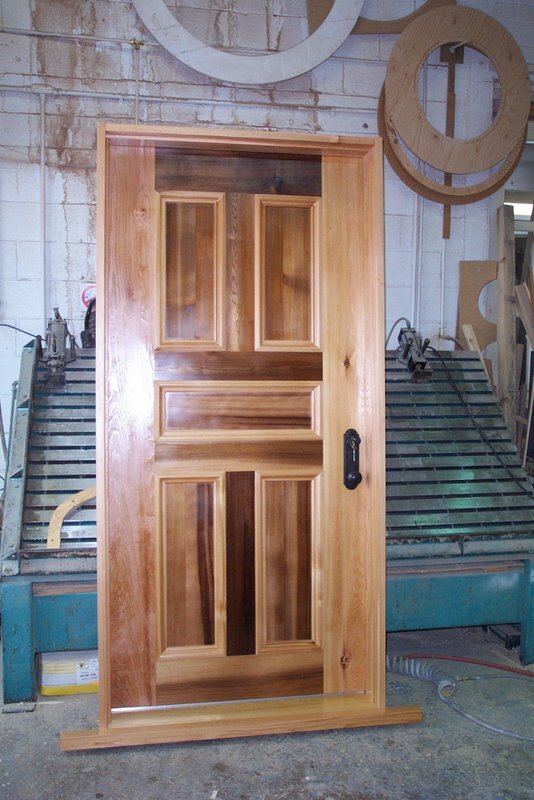 At Atelier Tenons-Nous, we create custom doors in an endless range designs, to meet each person’s needs. 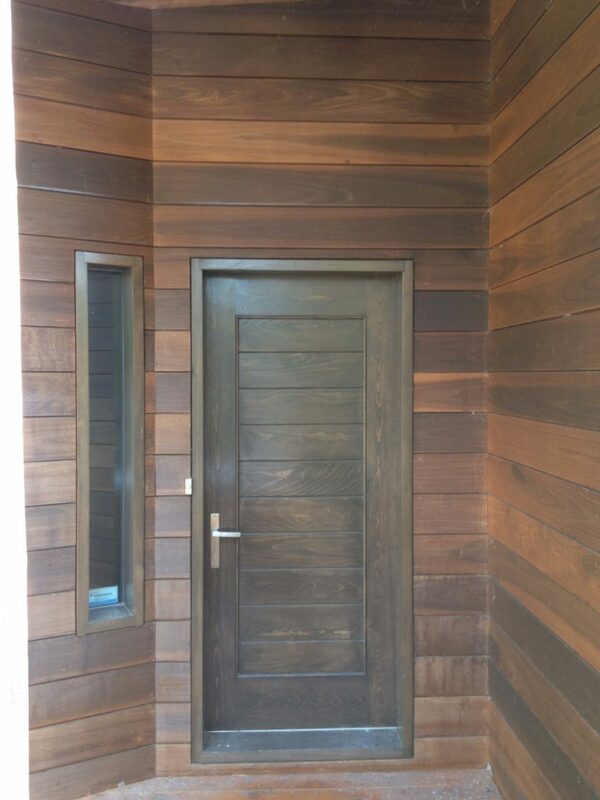 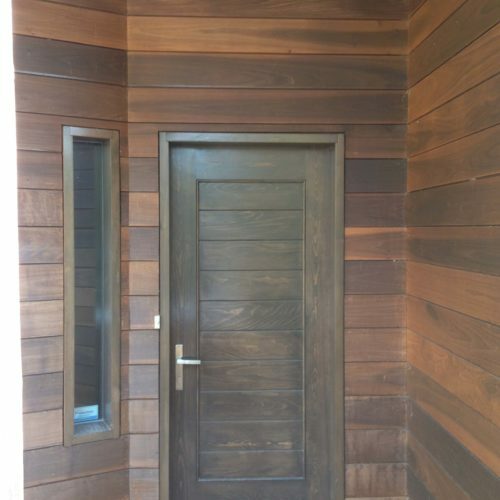 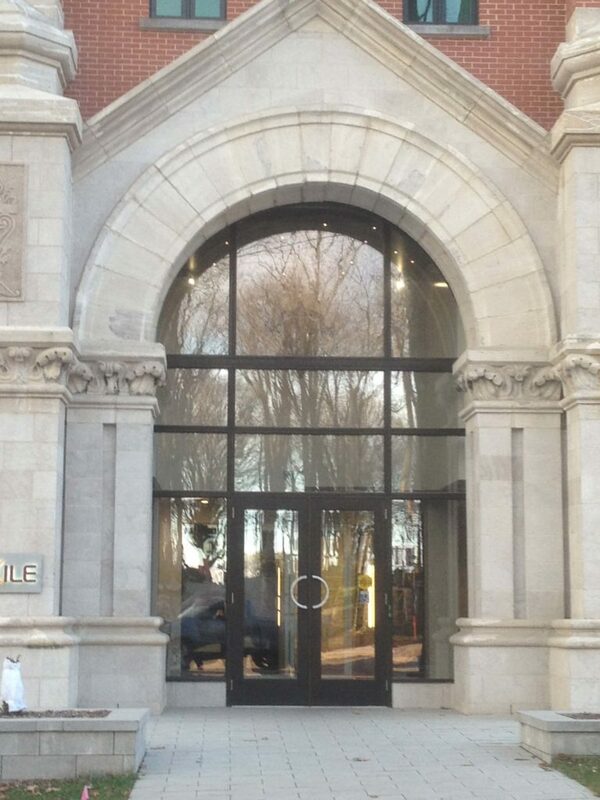 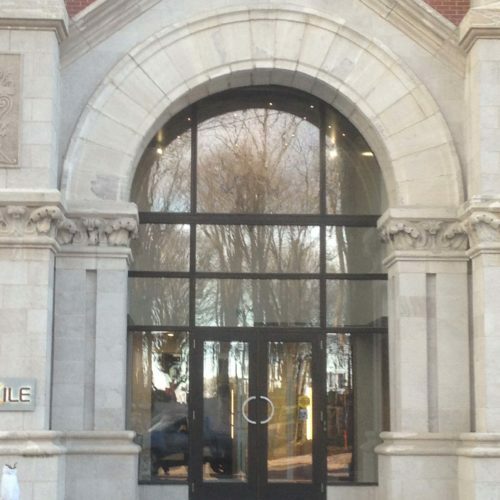 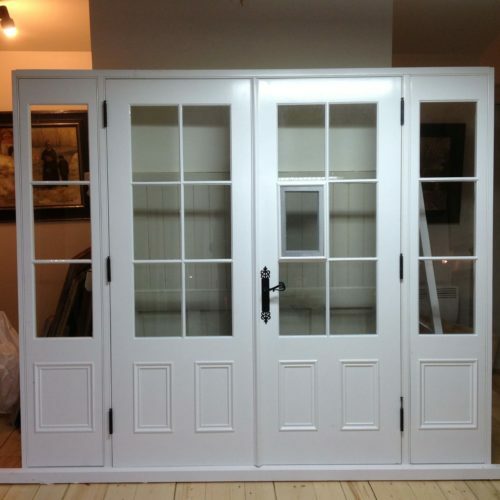 We are specialized in producing made-to-measure, unique doors. 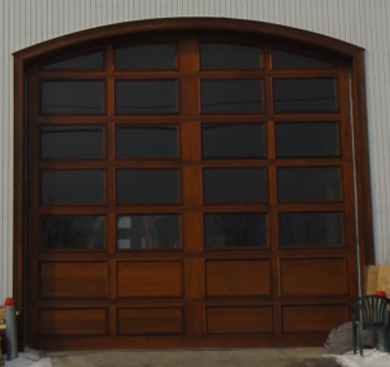 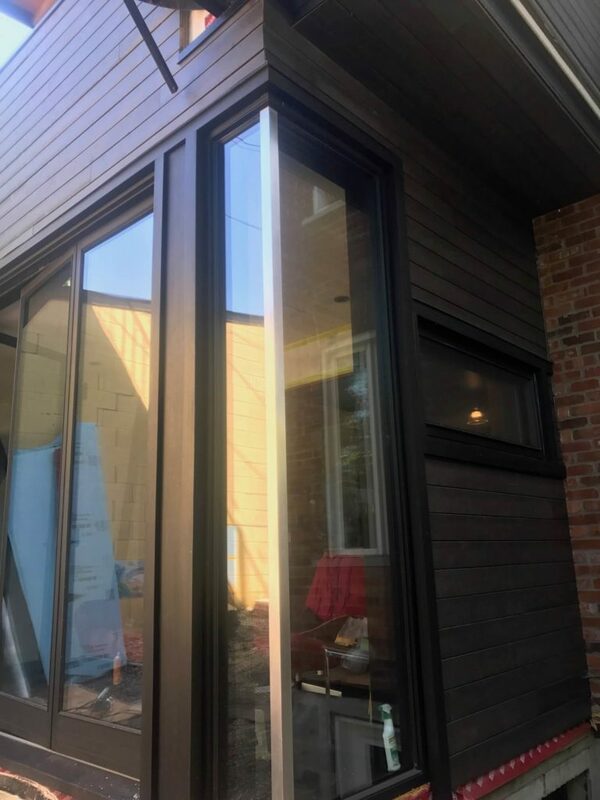 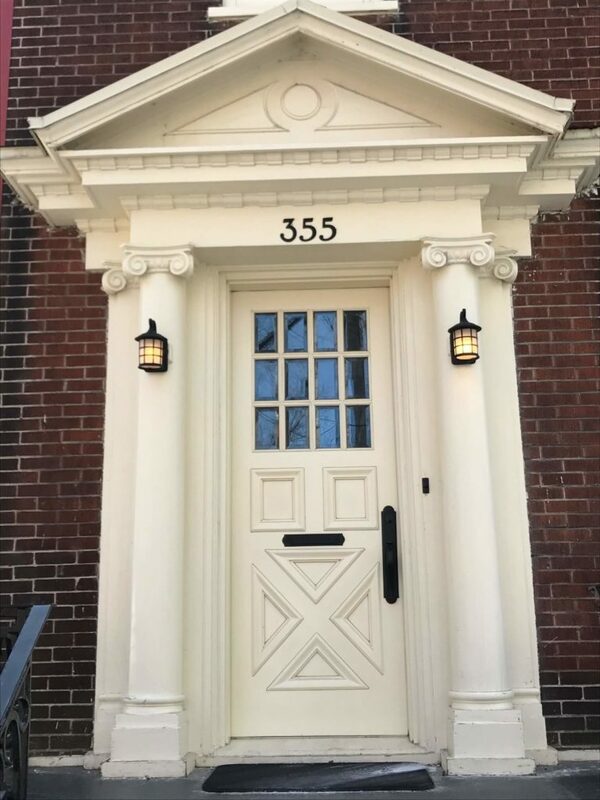 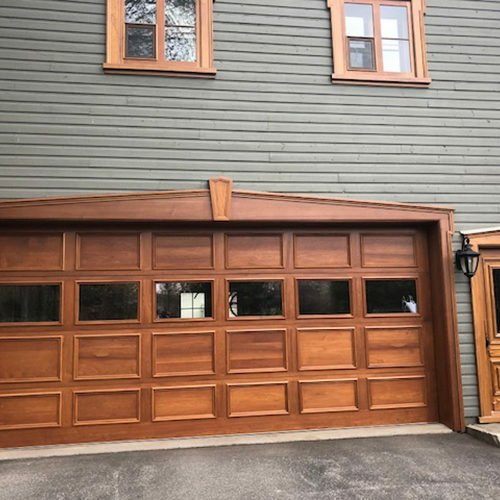 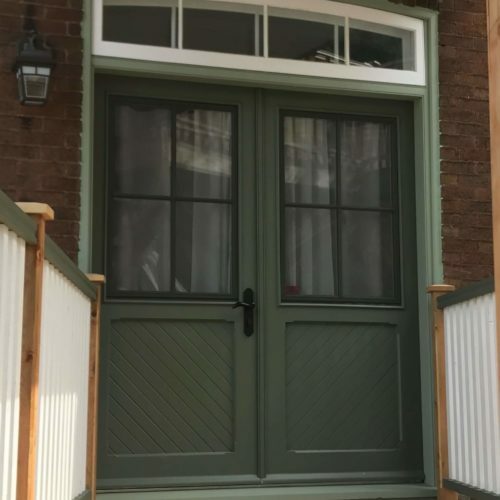 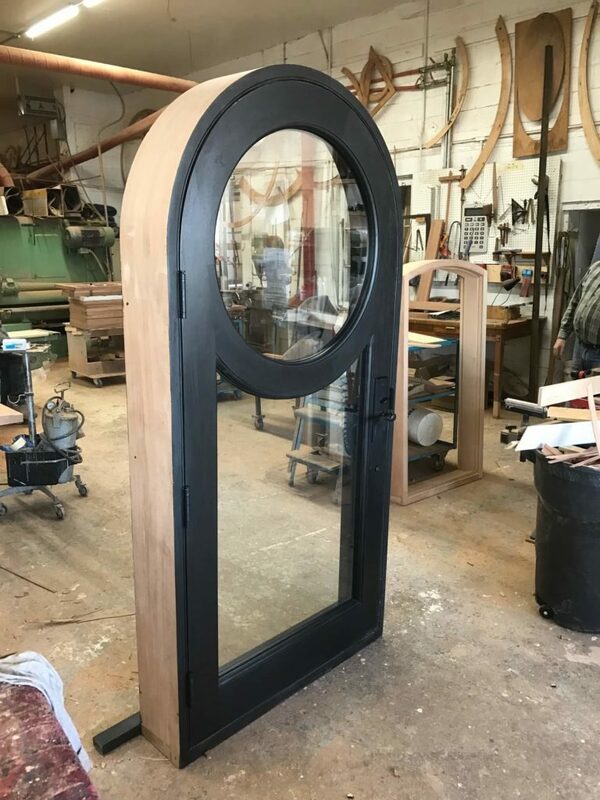 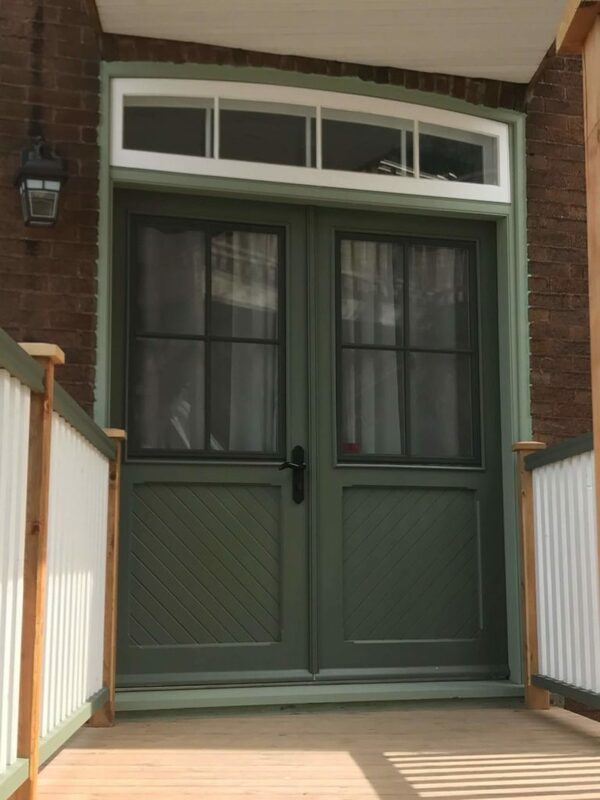 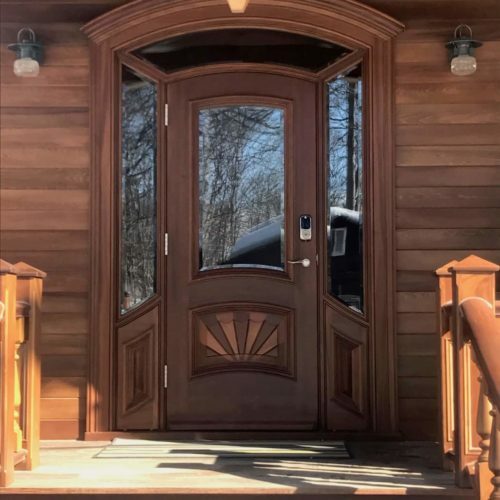 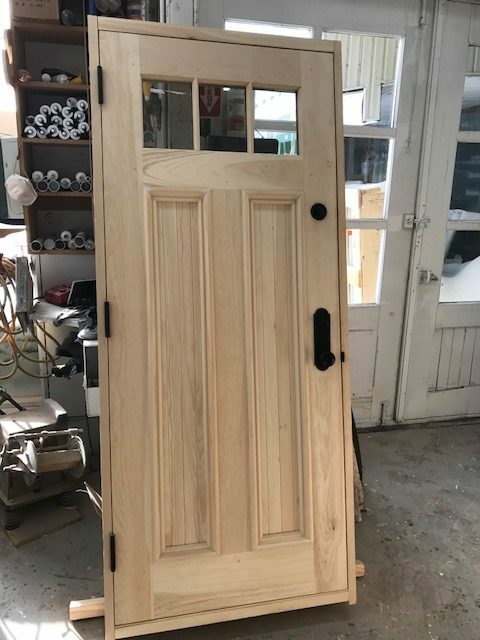 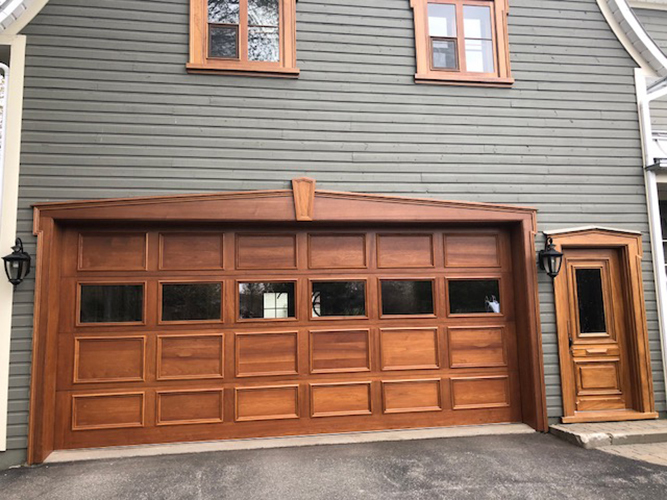 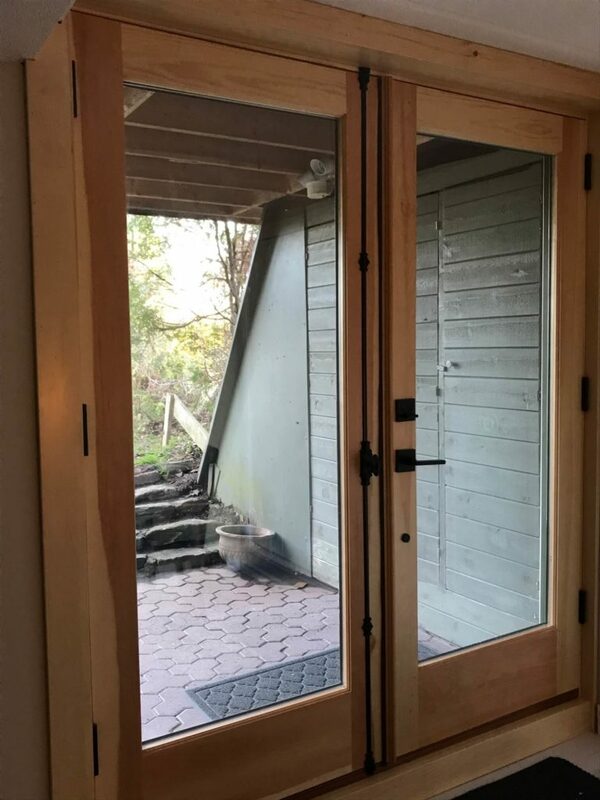 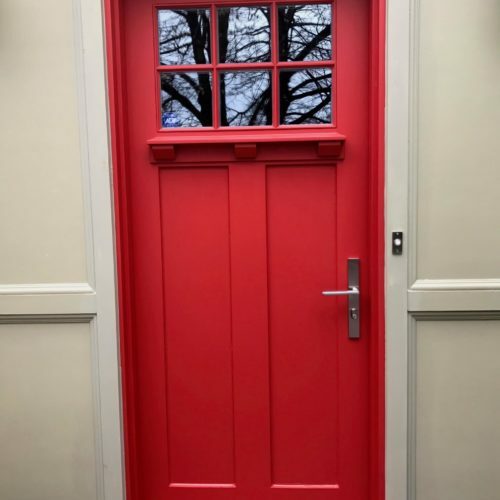 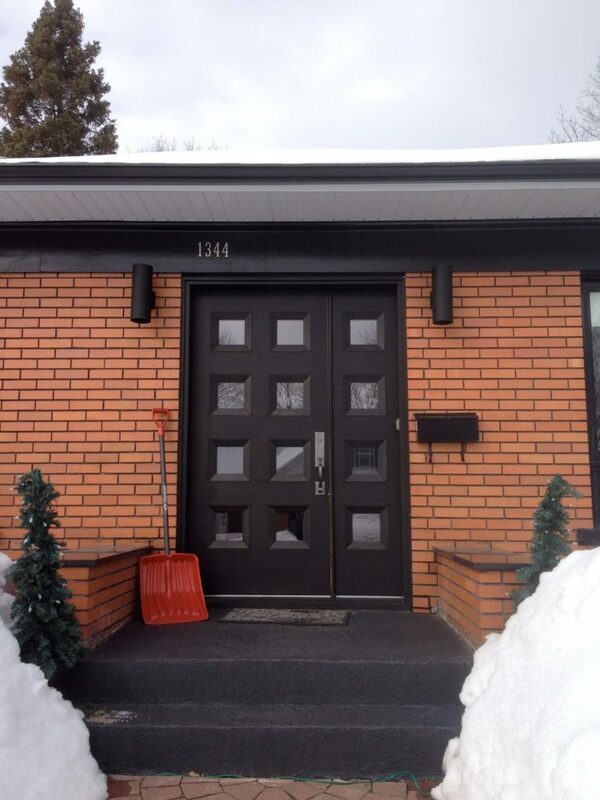 Whether you’re looking for a custom front door, a traditional door and storm door, a prestige garage door or a more contemporary door, our work is all meticulously created by our skilled craftsmen, using only top quality materials. 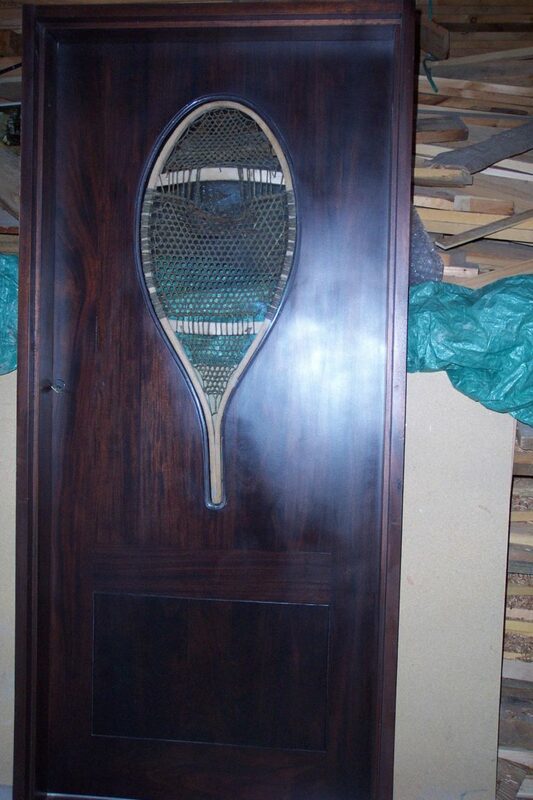 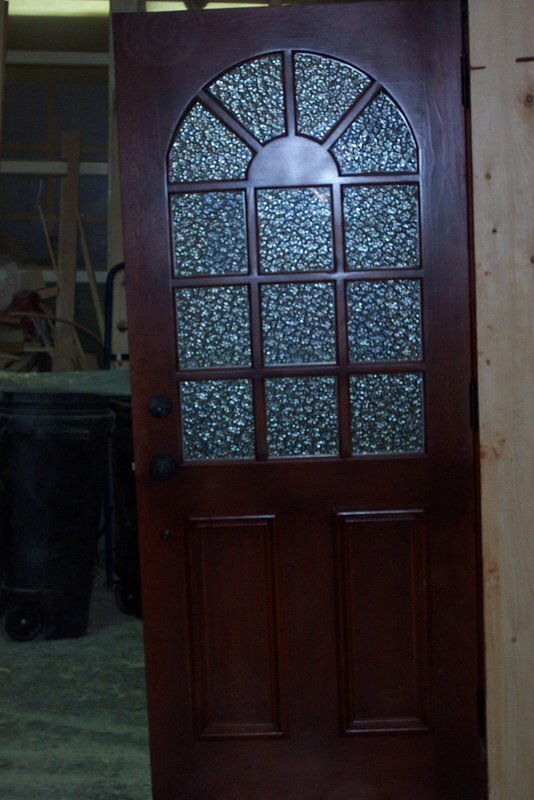 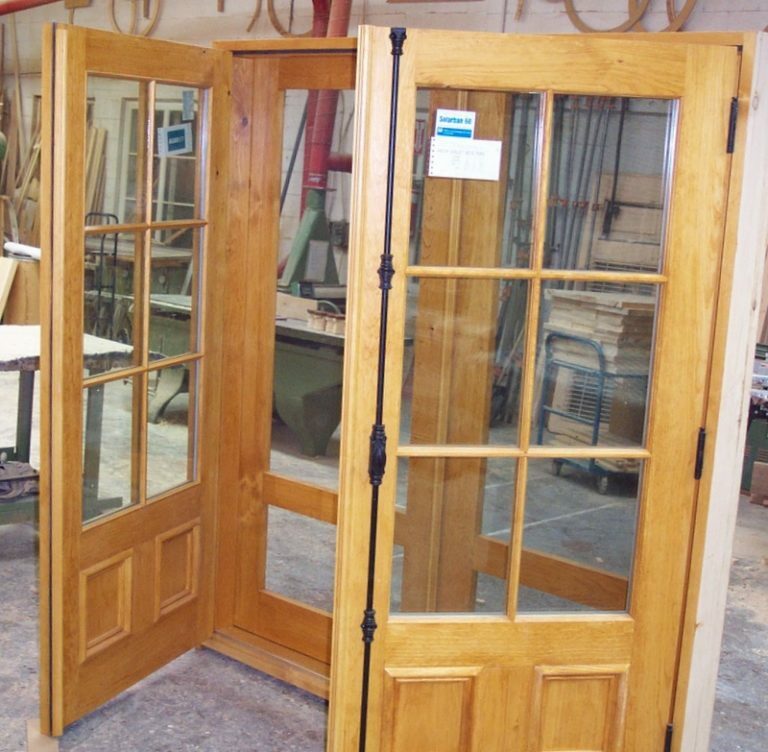 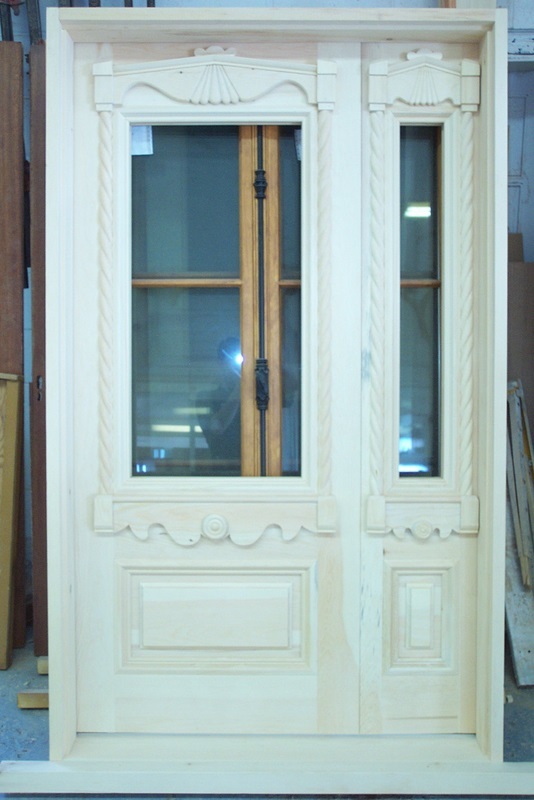 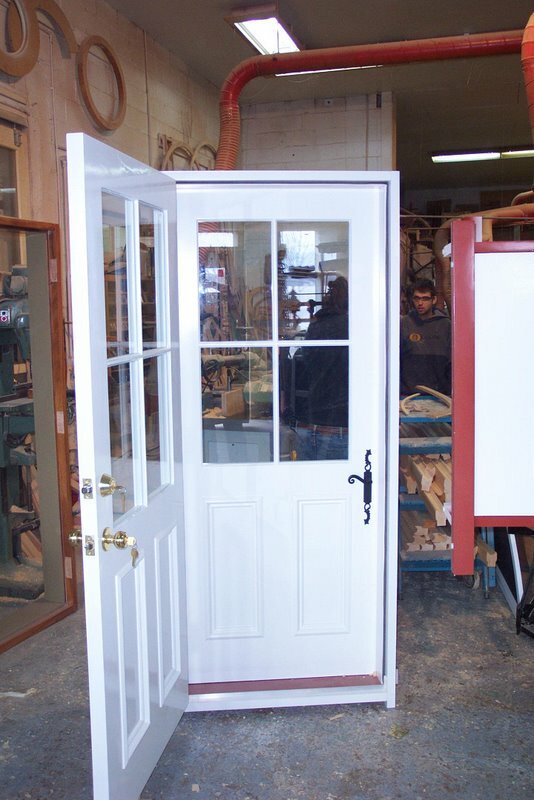 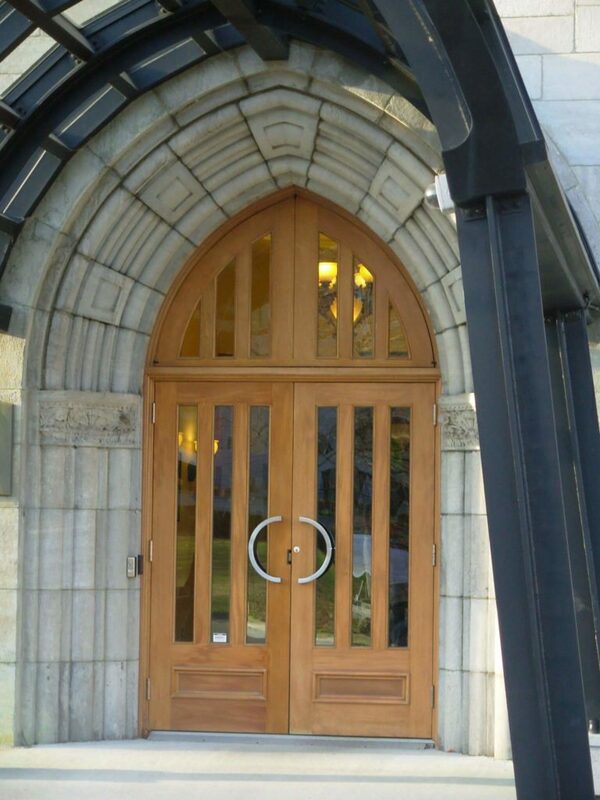 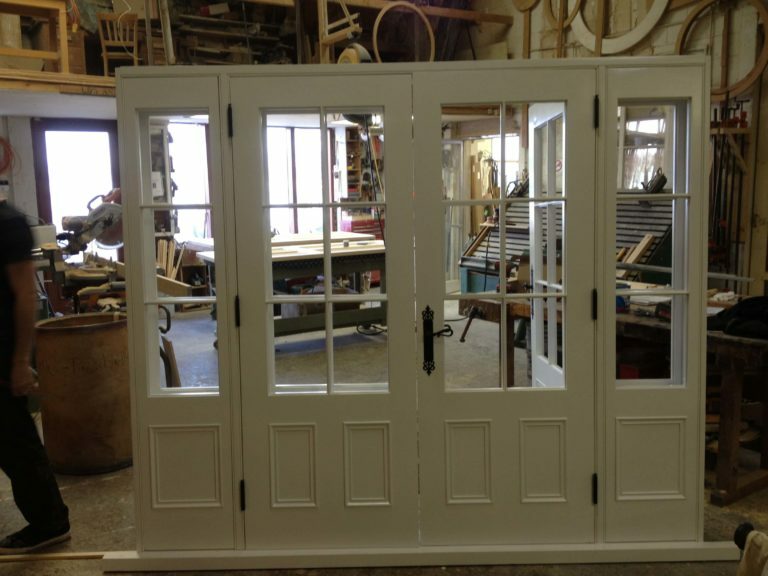 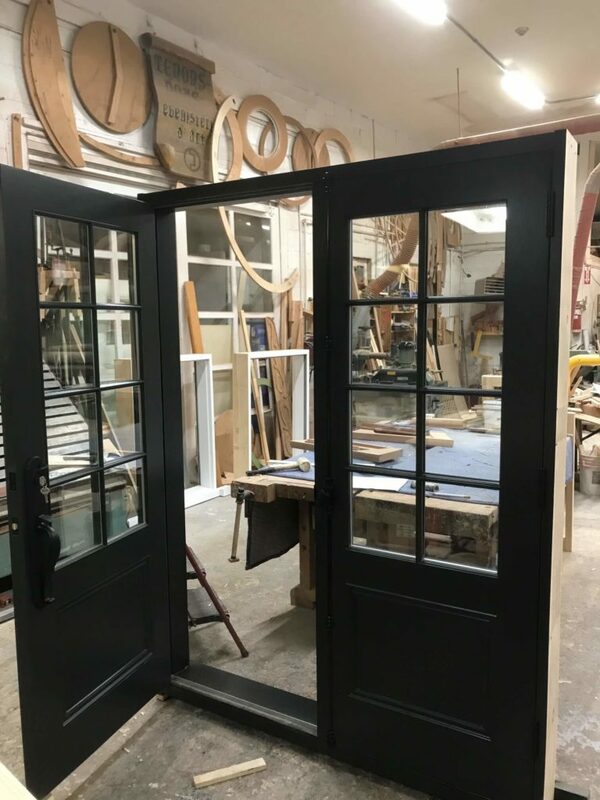 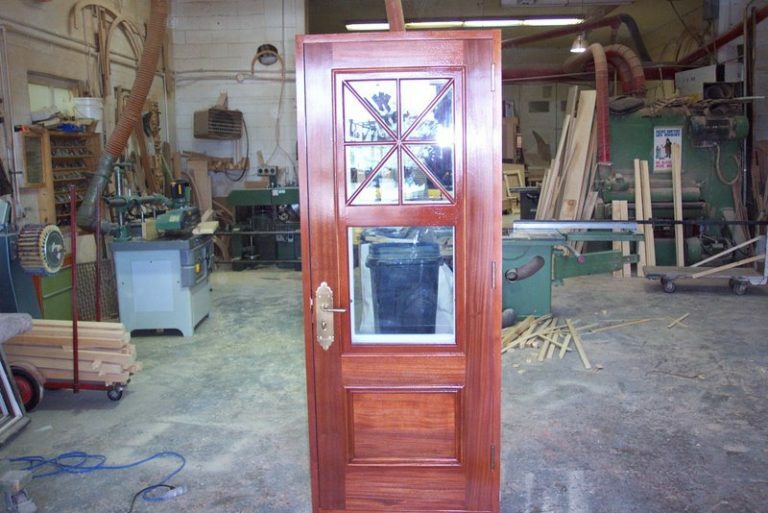 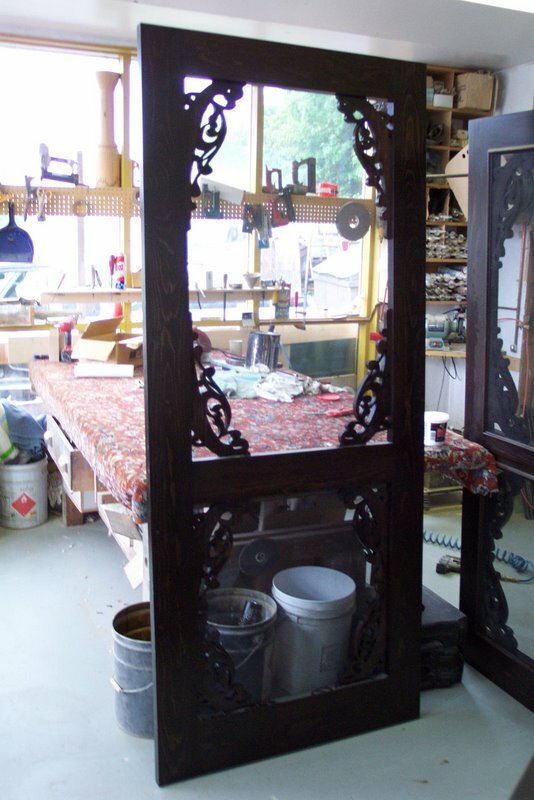 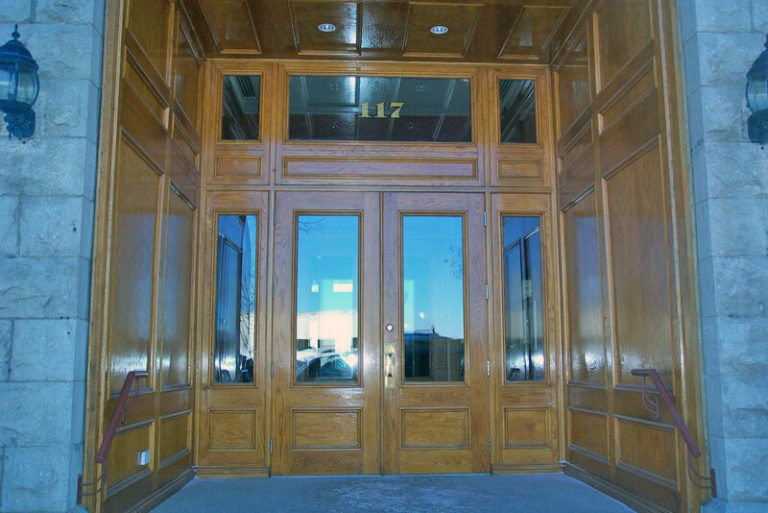 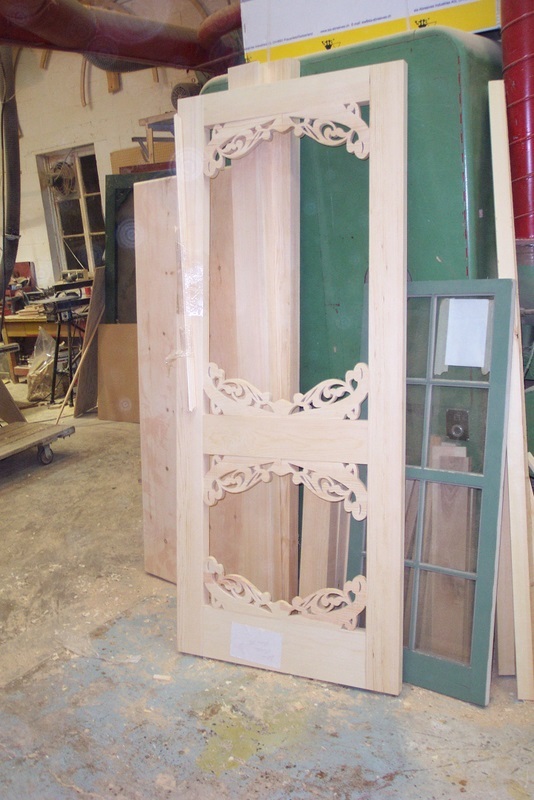 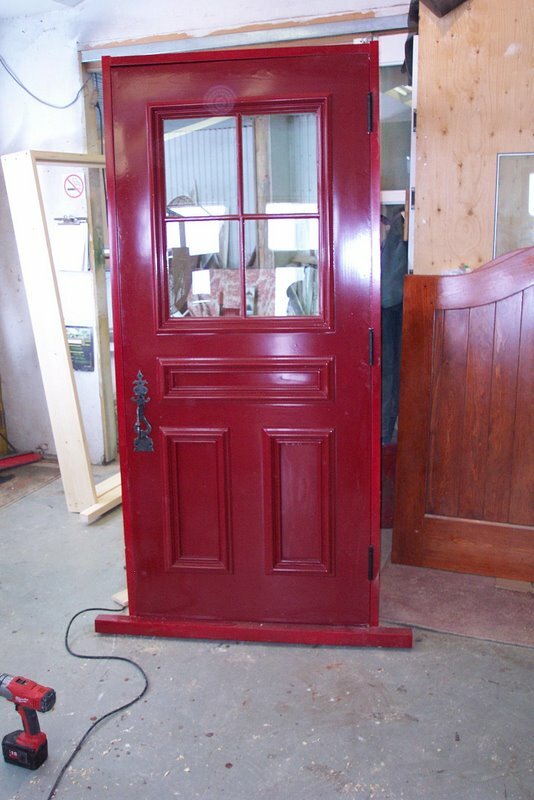 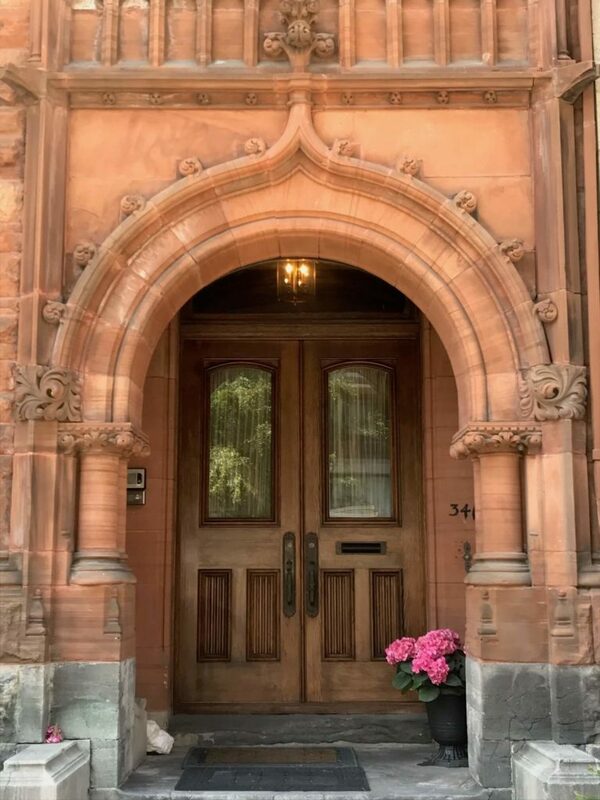 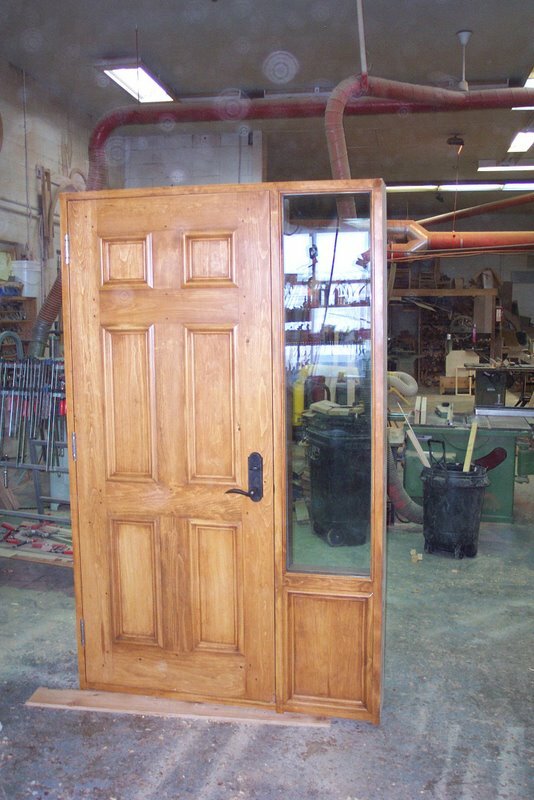 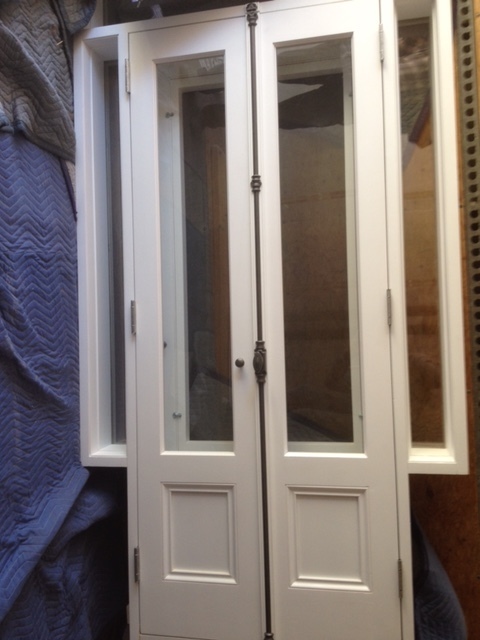 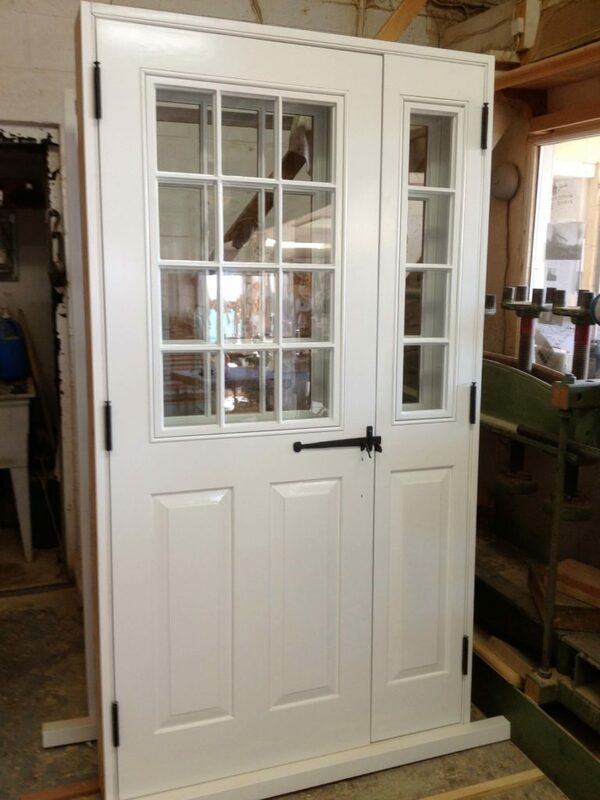 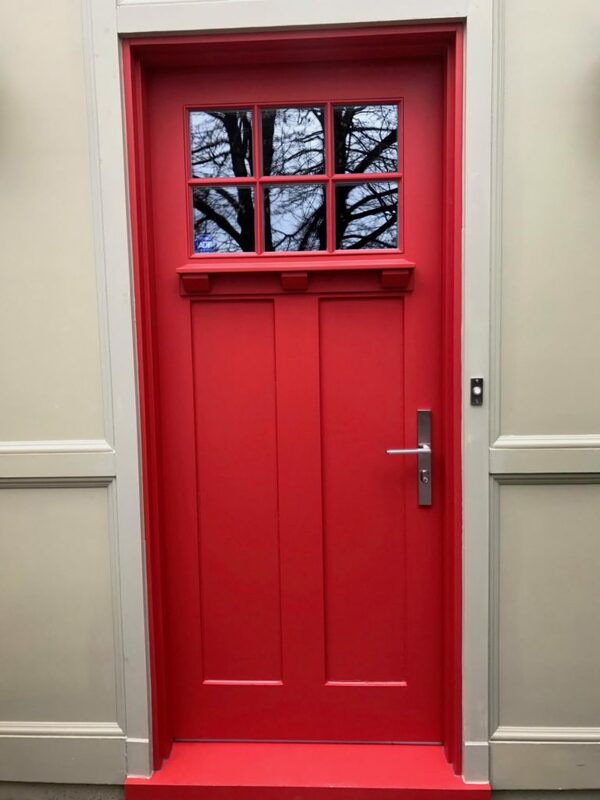 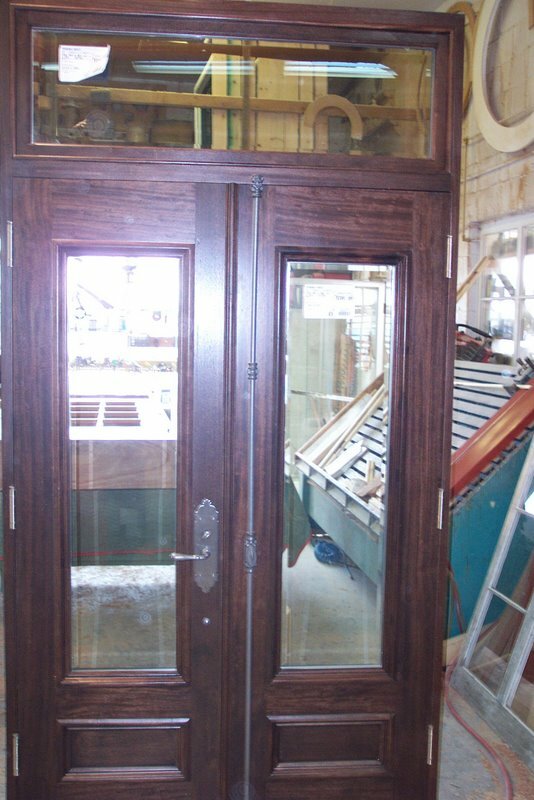 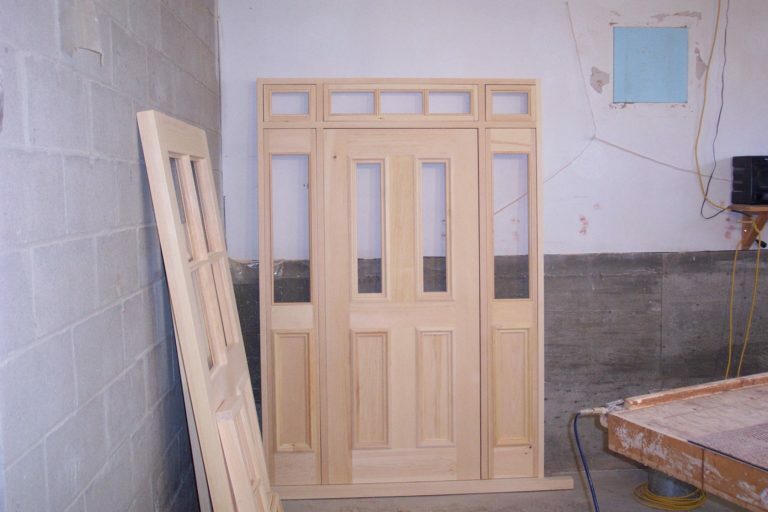 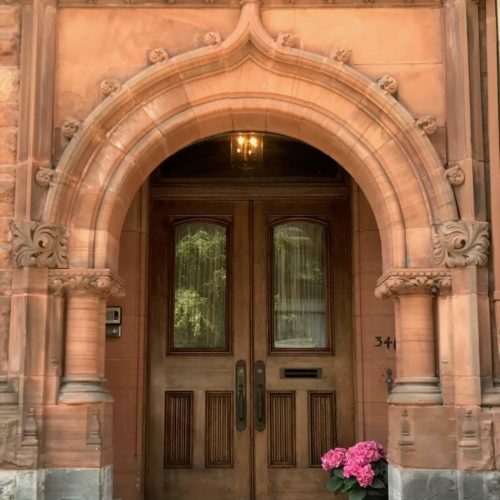 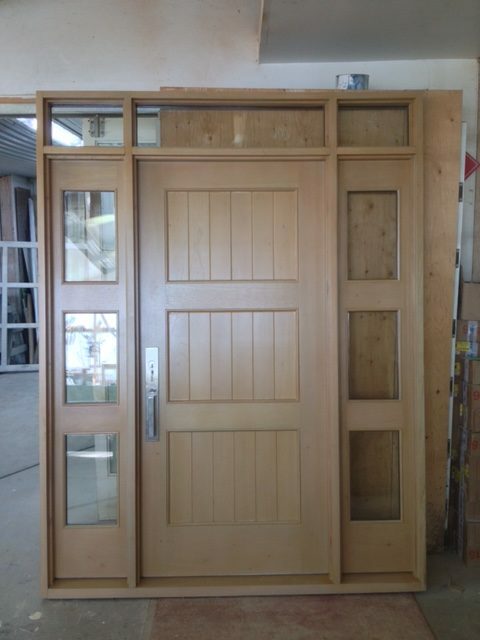 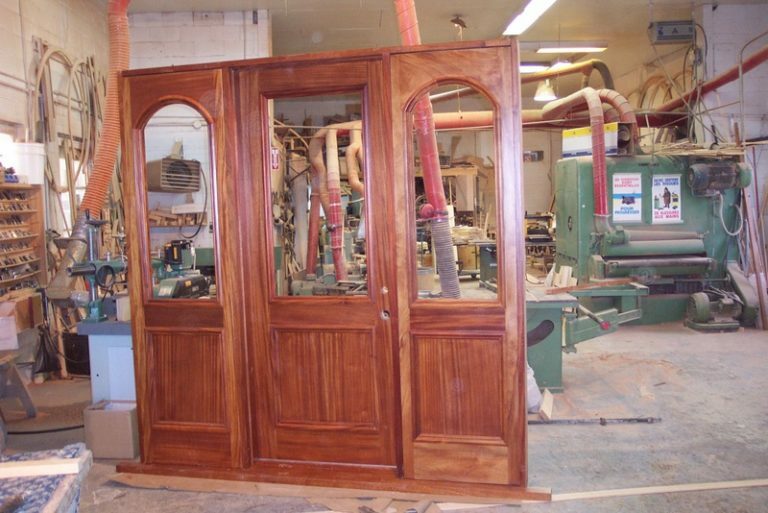 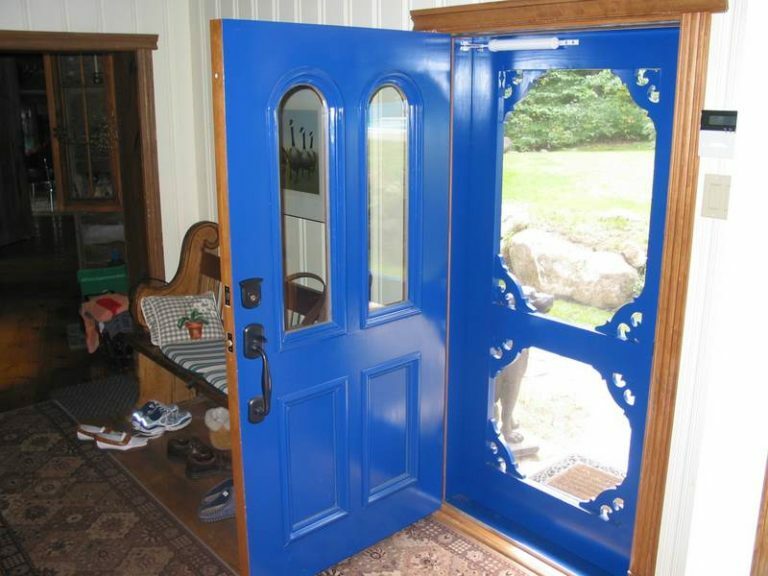 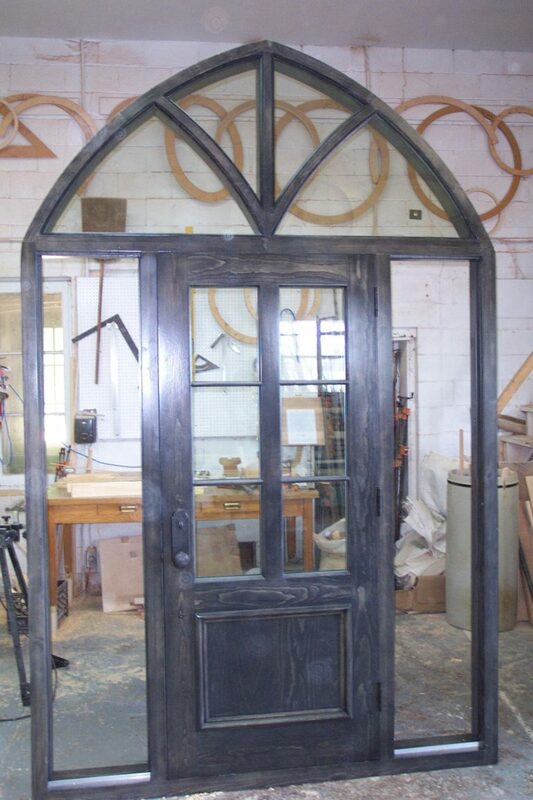 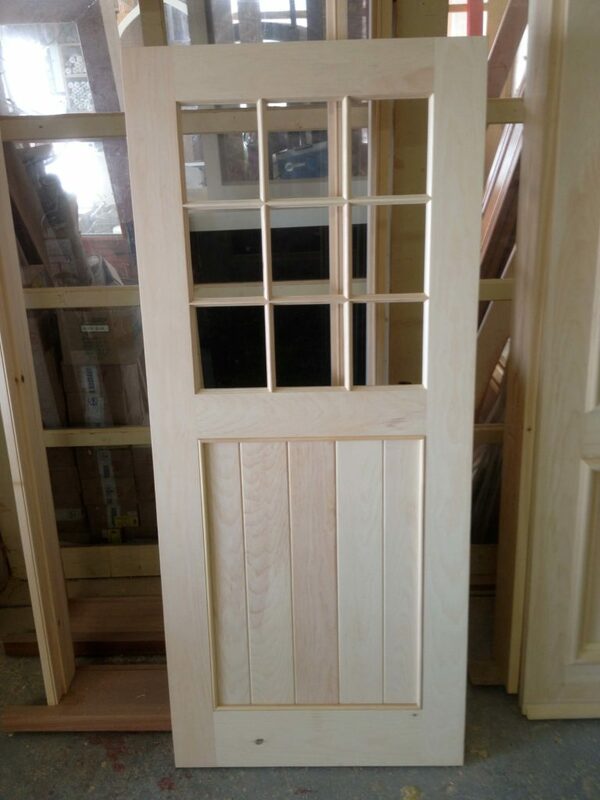 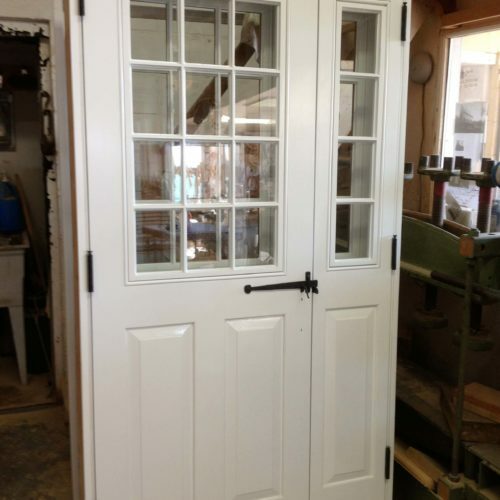 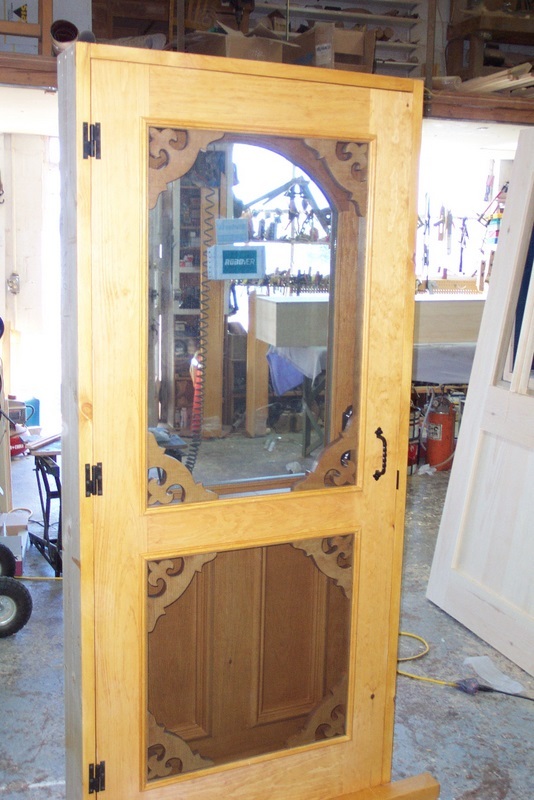 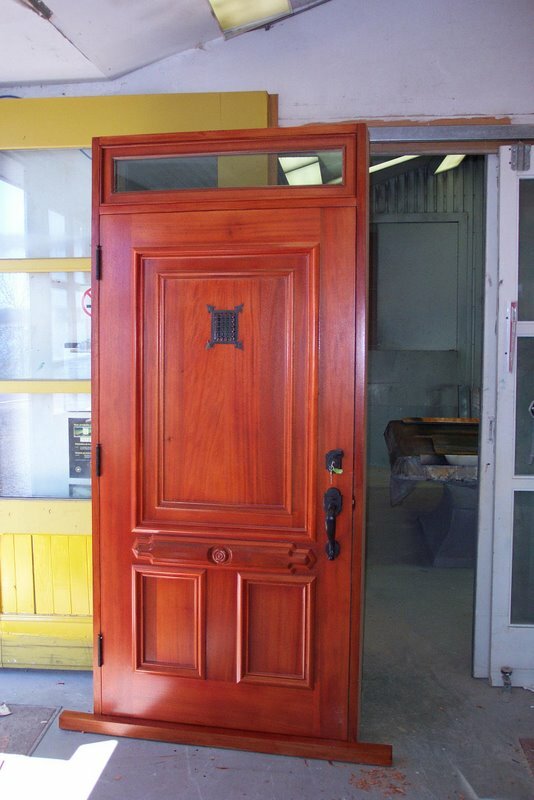 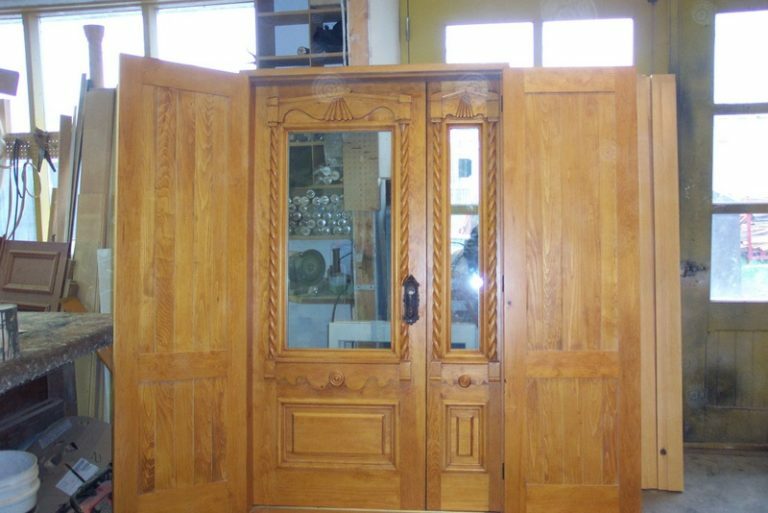 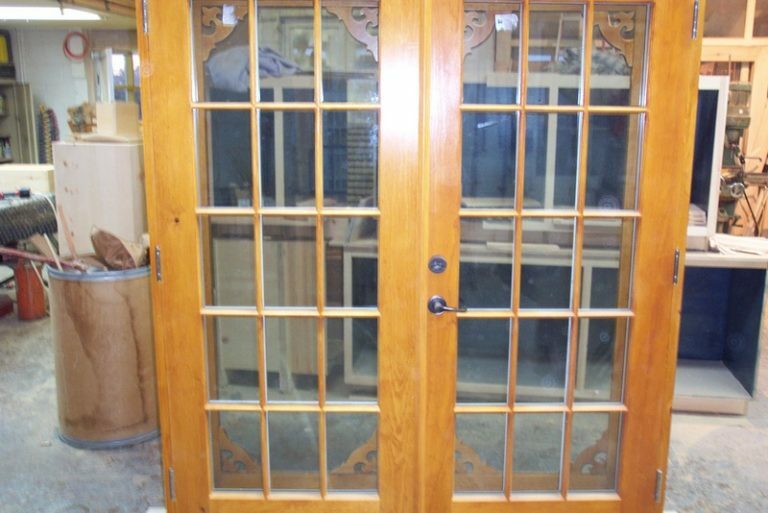 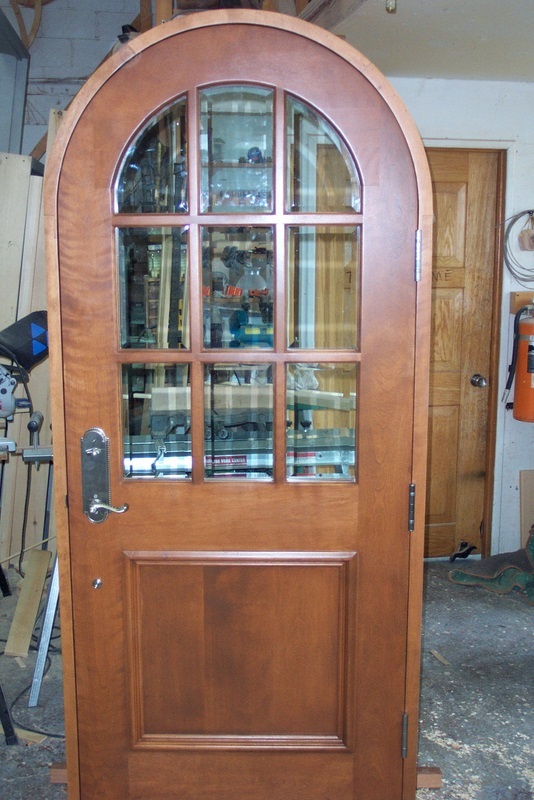 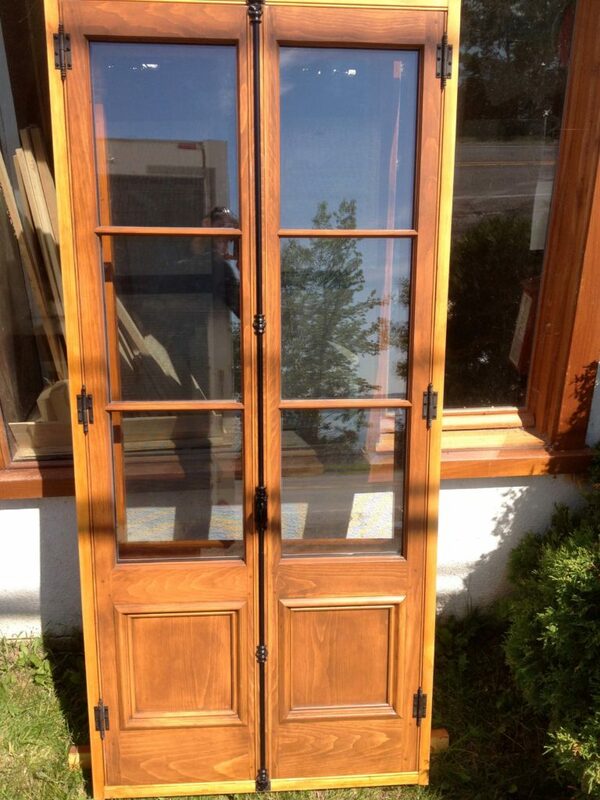 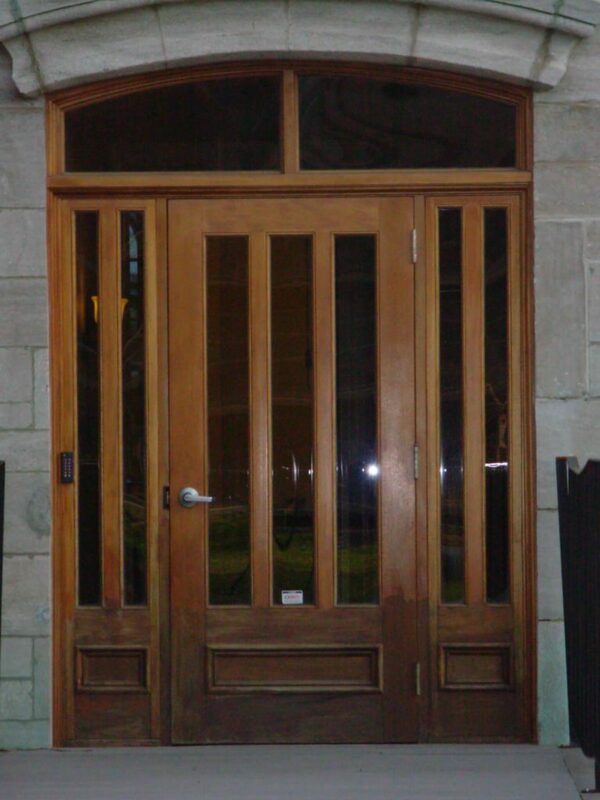 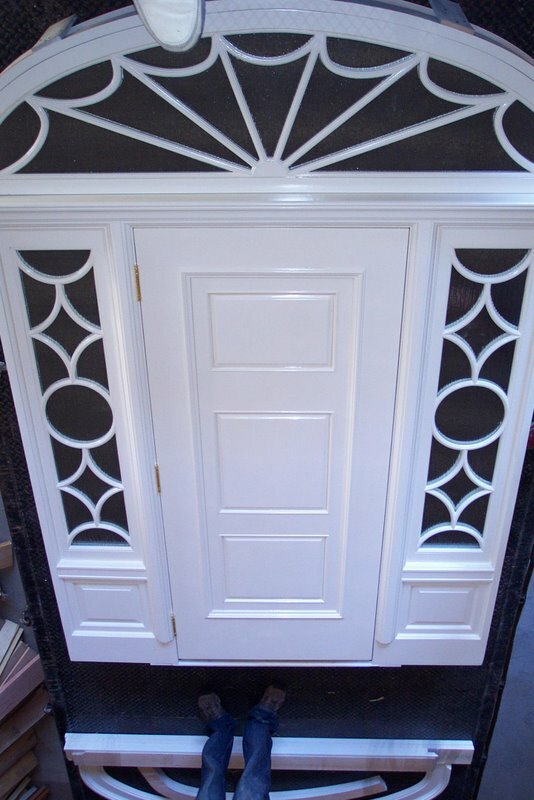 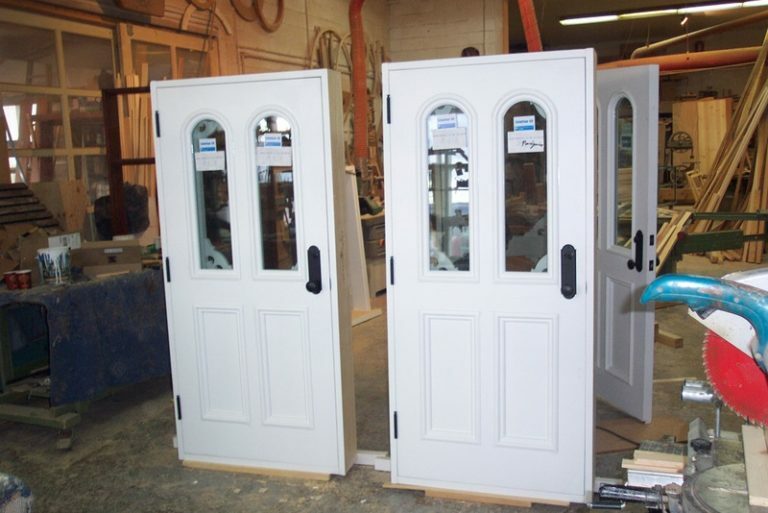 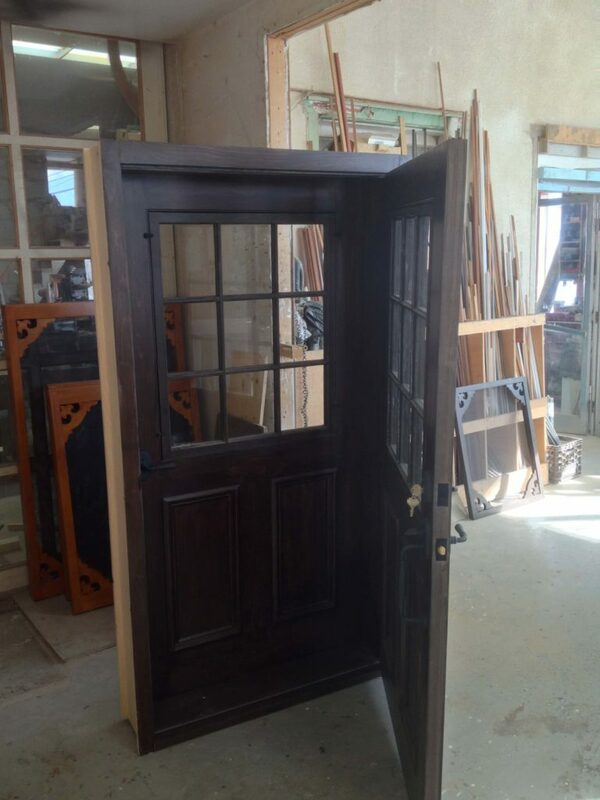 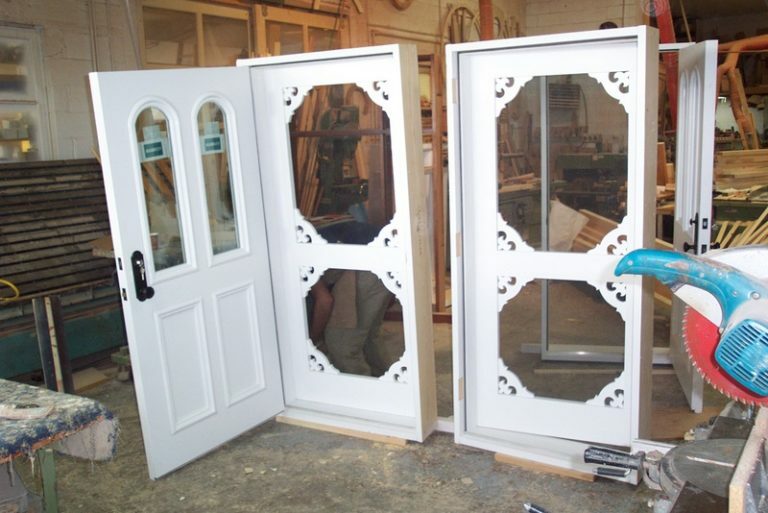 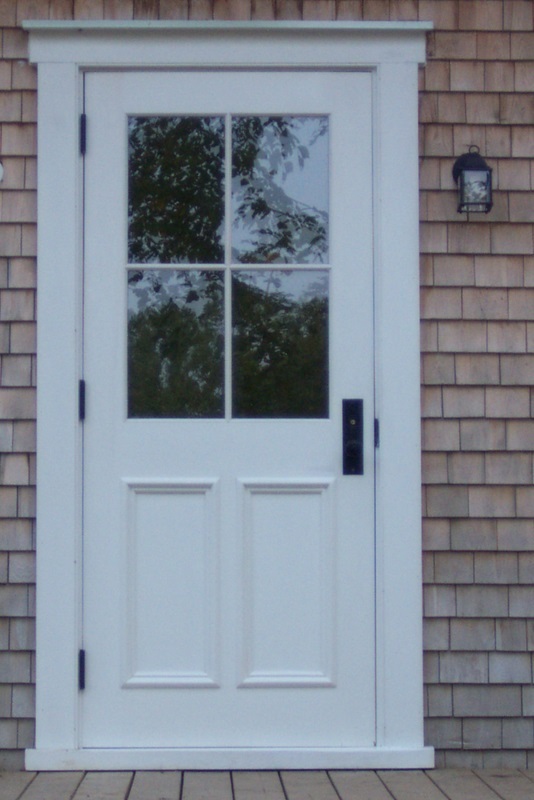 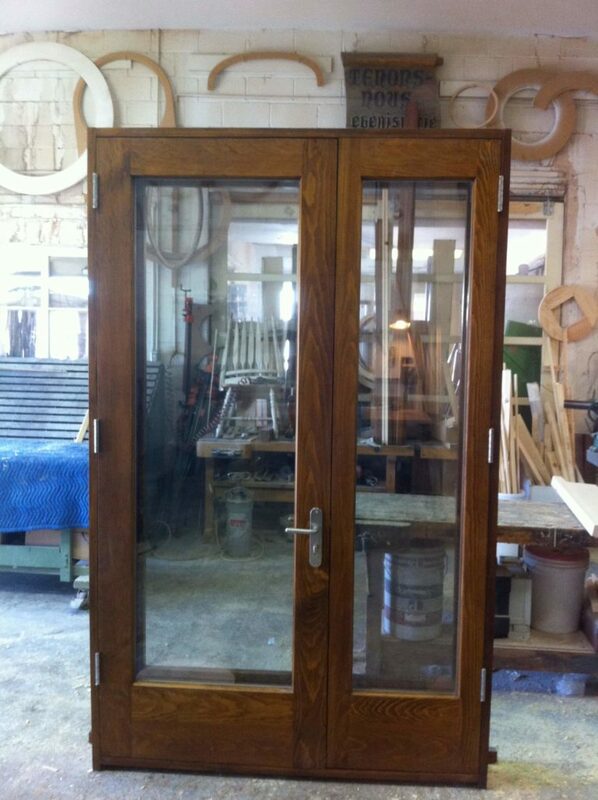 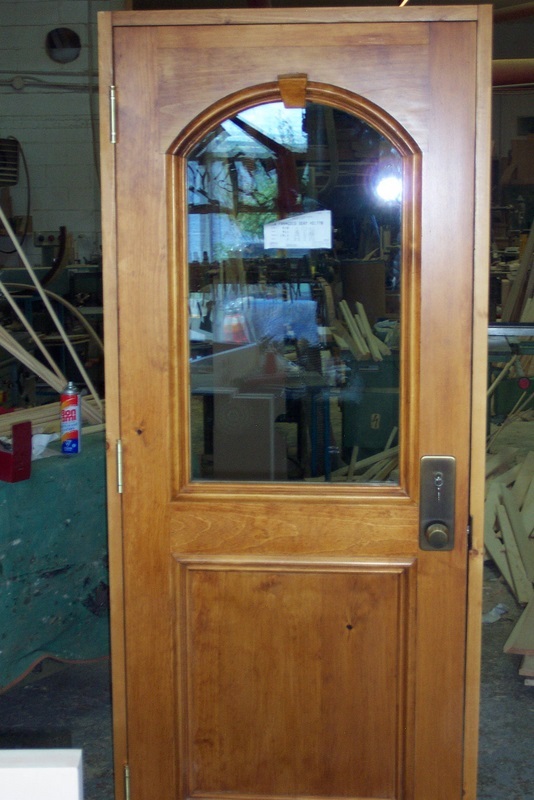 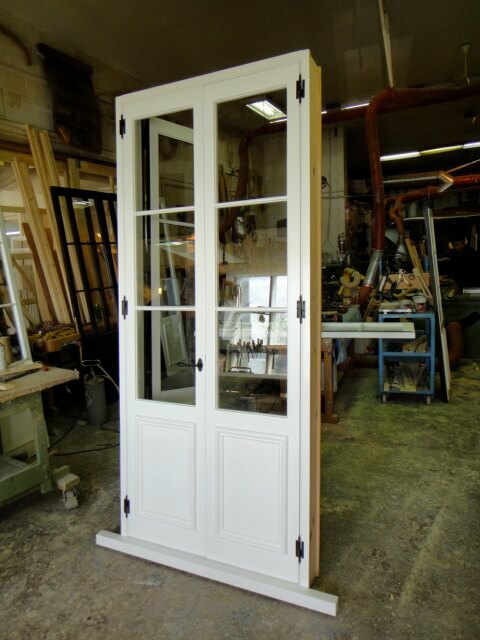 Our doors provide the remarkable style of fine woodwork, as well as a long service life. 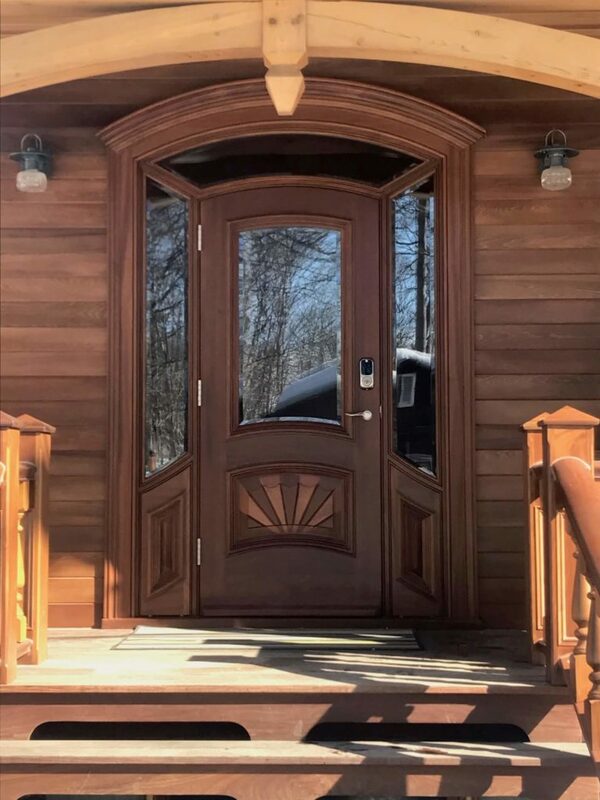 We will be pleased to share our wealth of experience to make sure you are satisfied and that your projects are a success. 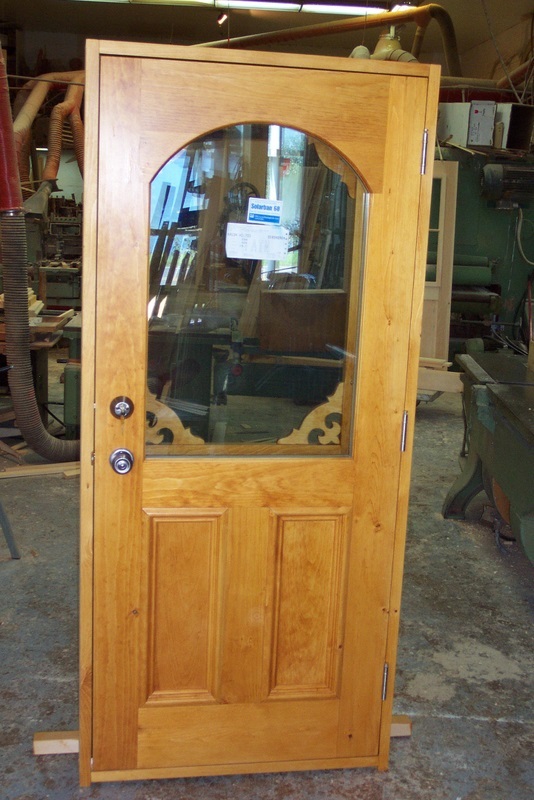 Choose from wood types such as mahogany, Spanish cedar, quartered white oak, eastern white pine, and western red cedar. 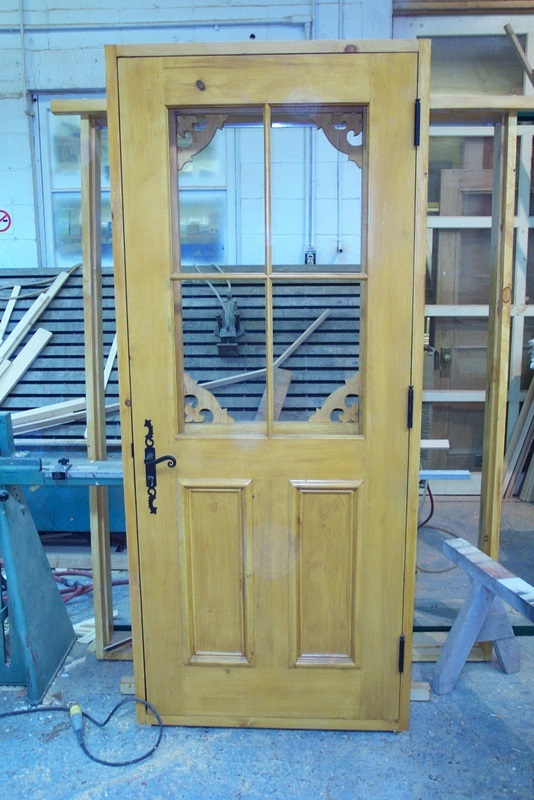 Some of these are rot resistant materials. 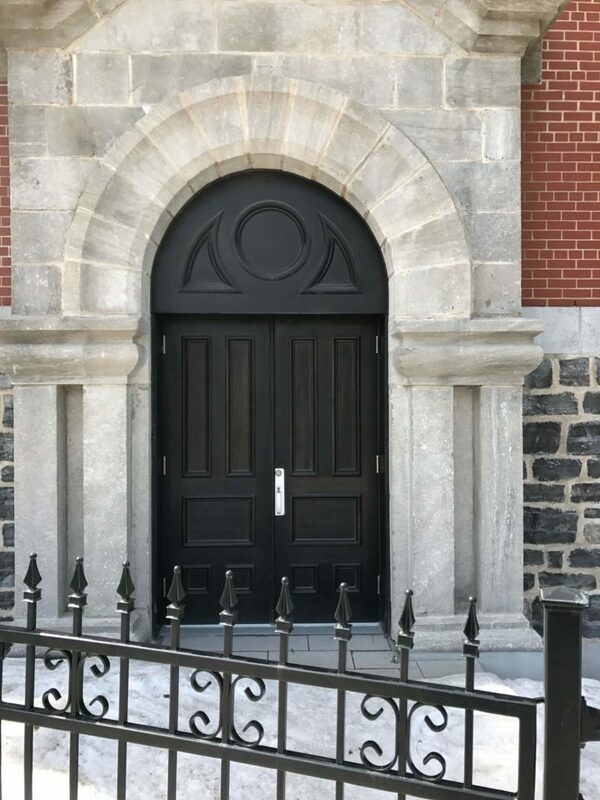 Traditional architectural hardware, contemporary, triple lock or forged by master blacksmiths. 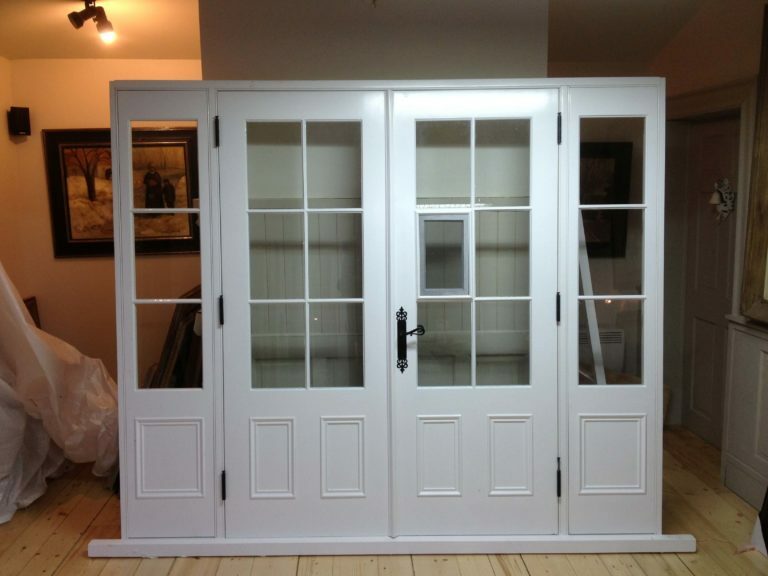 Are you looking to get a quote? 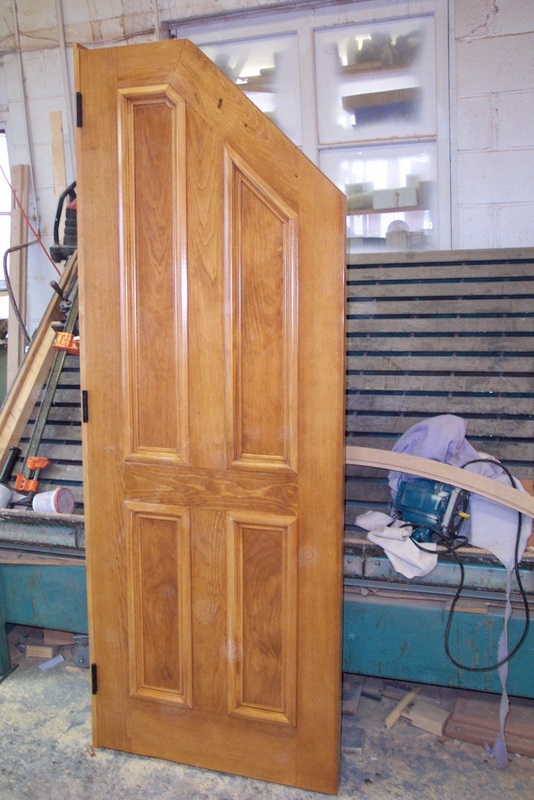 Whether you need an estimate or a bit of information about our company, we encourage you to fill out the contact form.